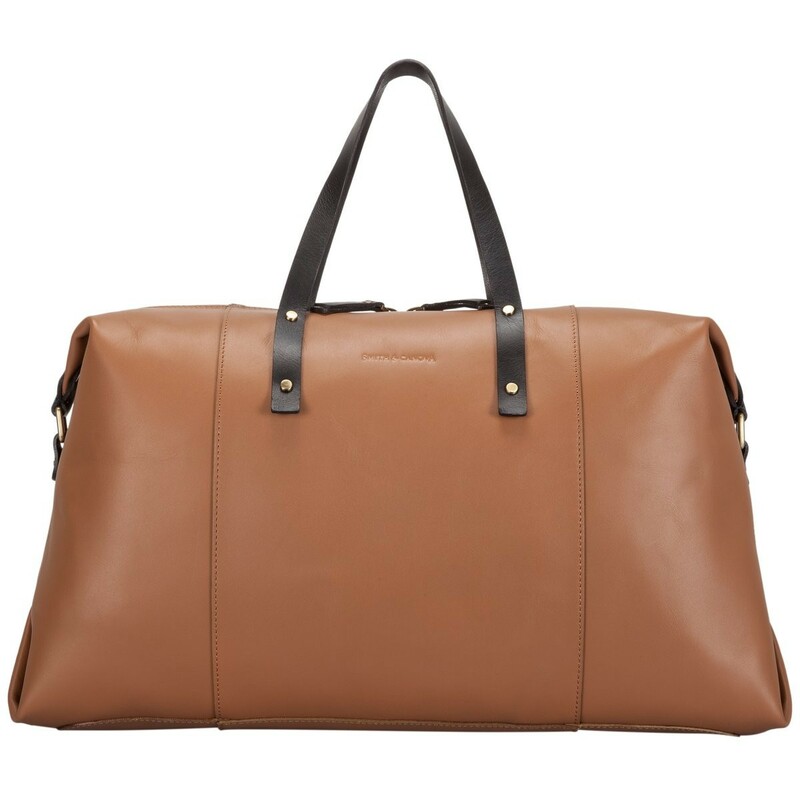 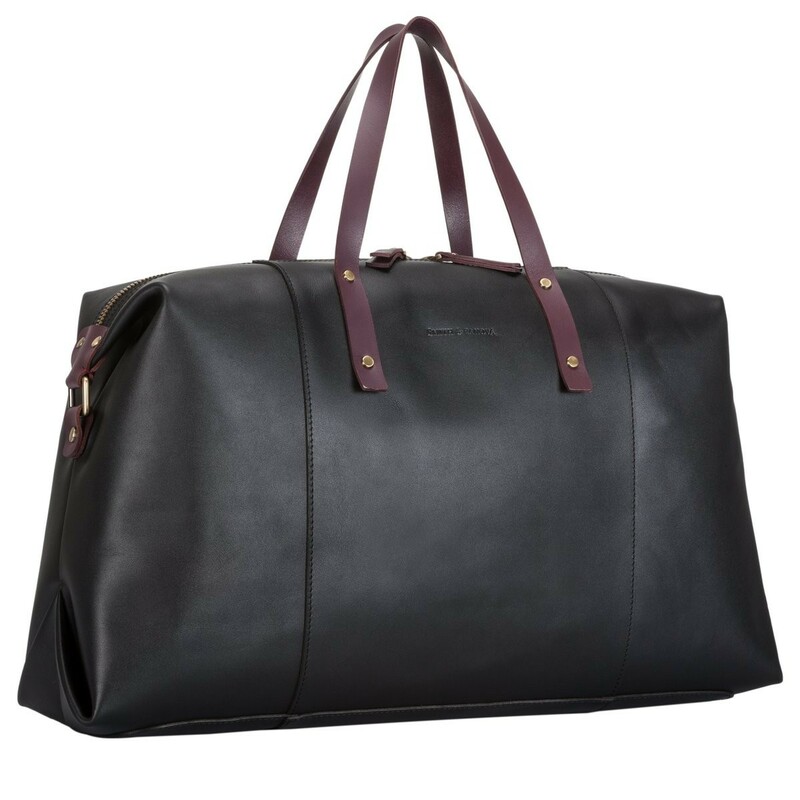 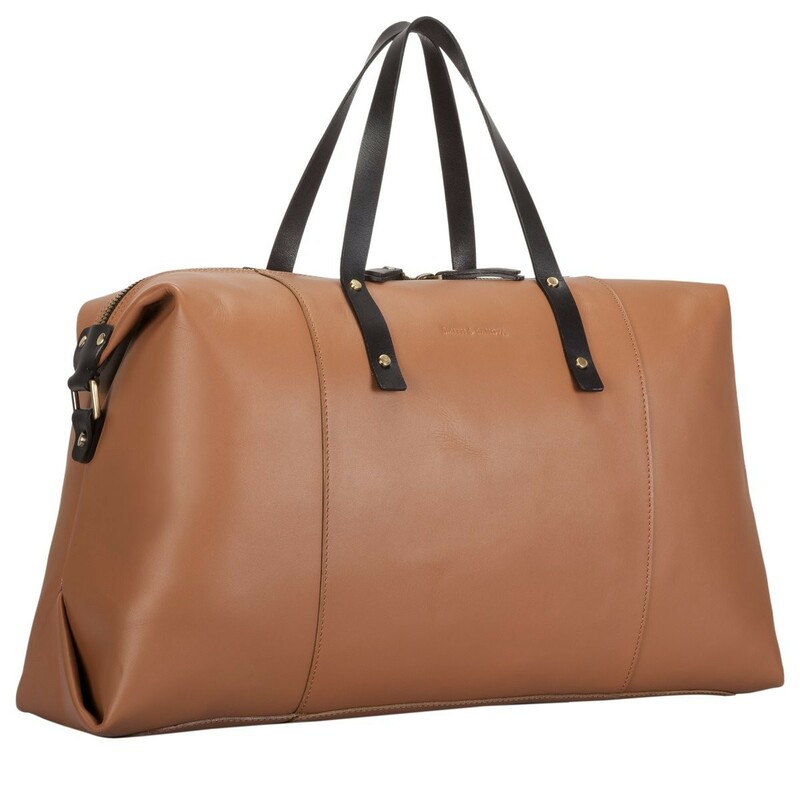 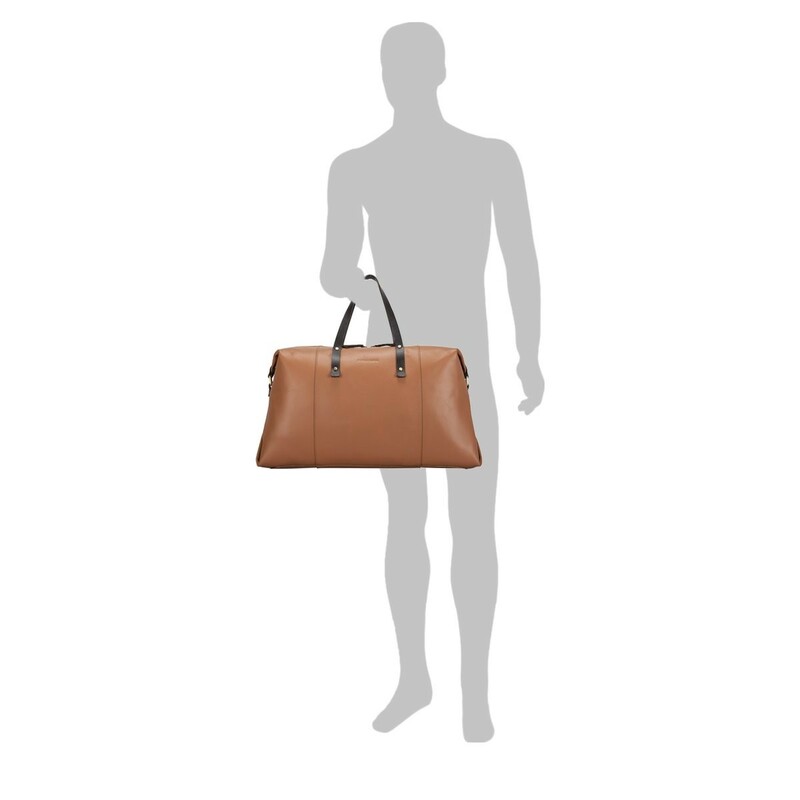 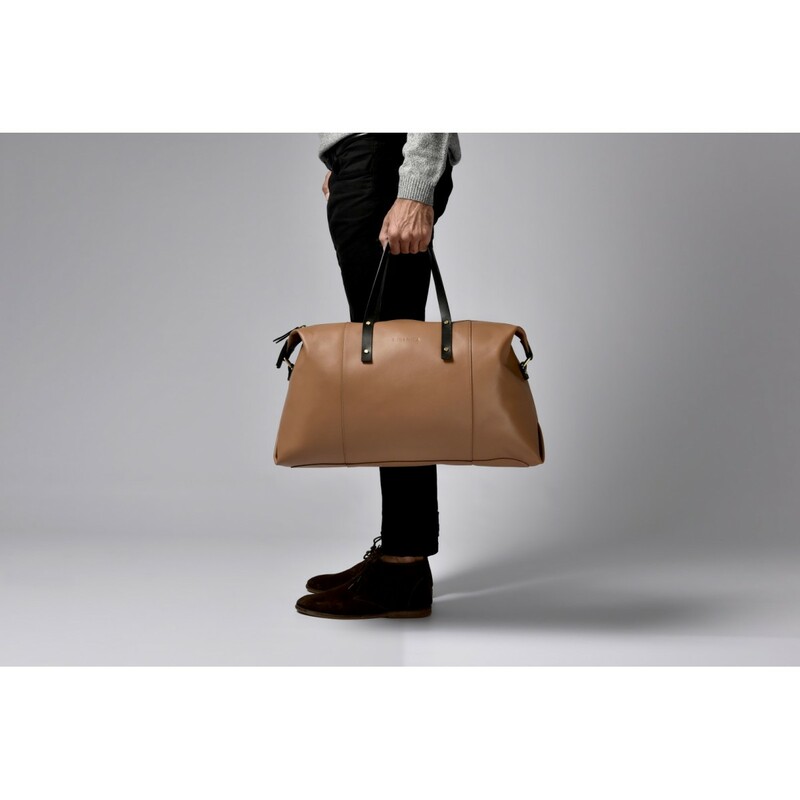 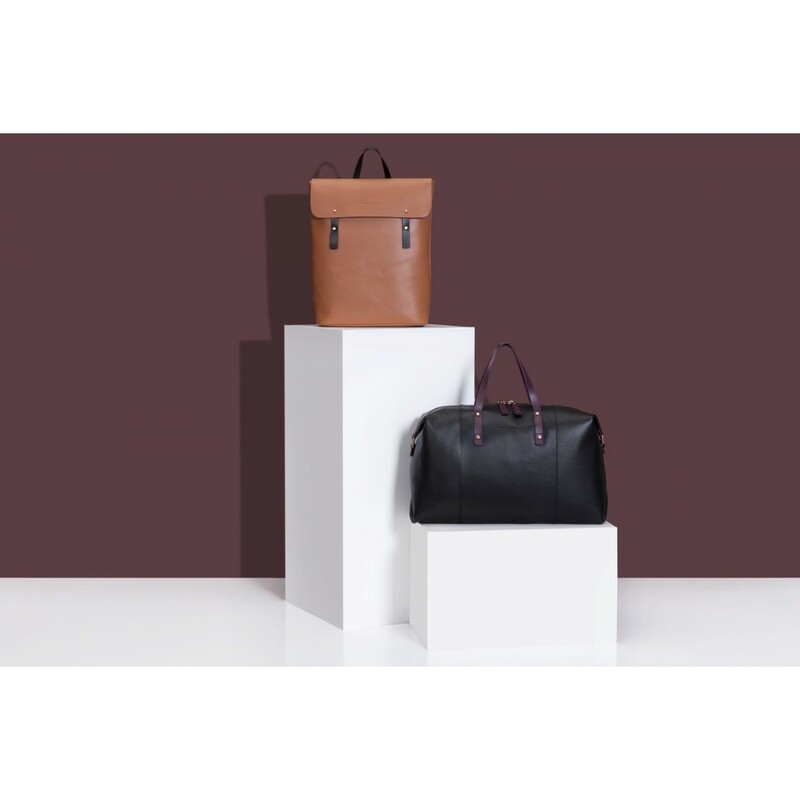 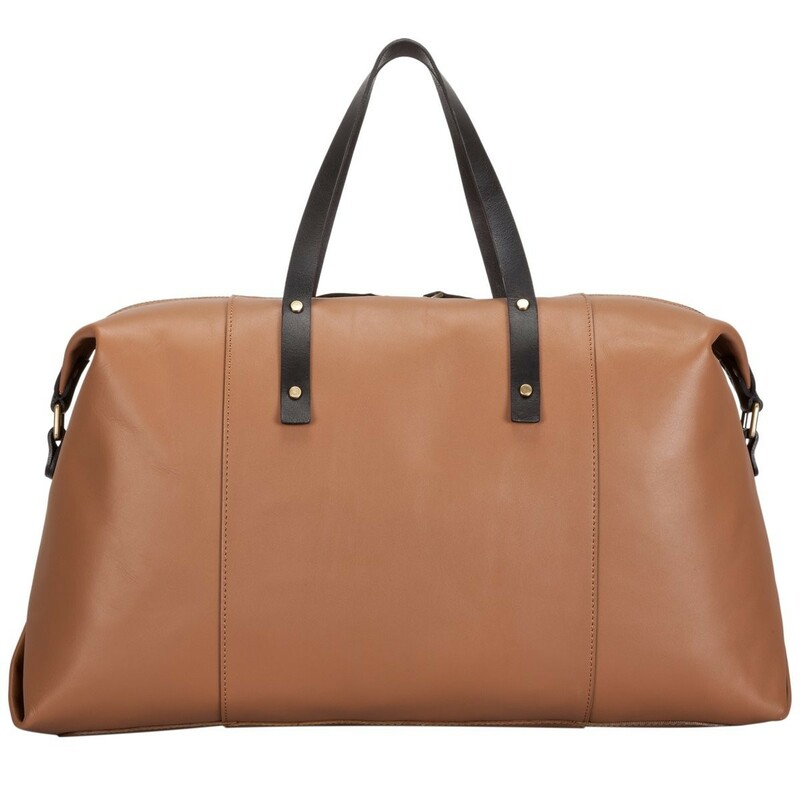 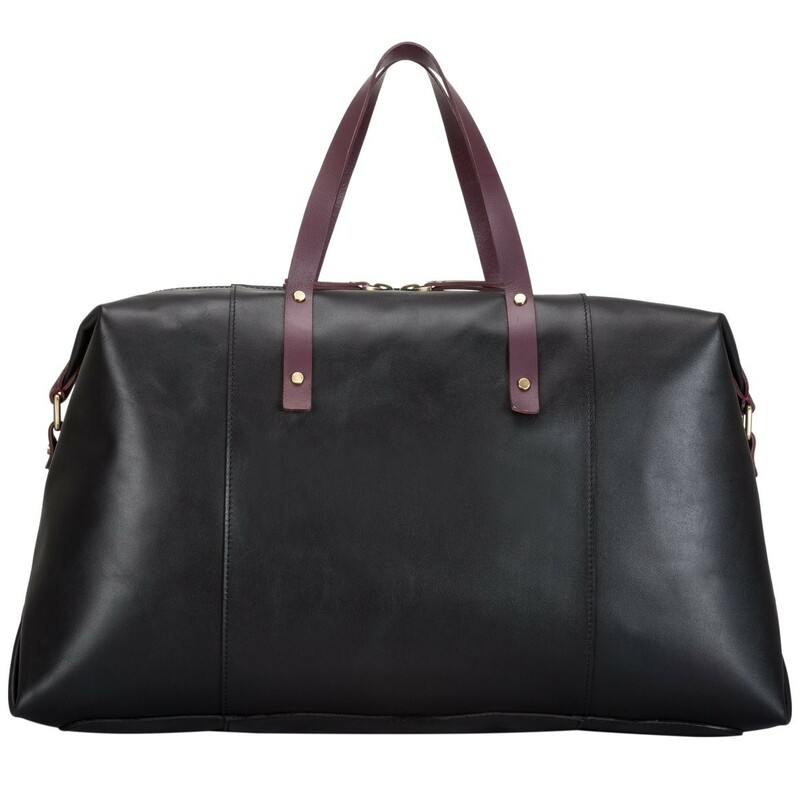 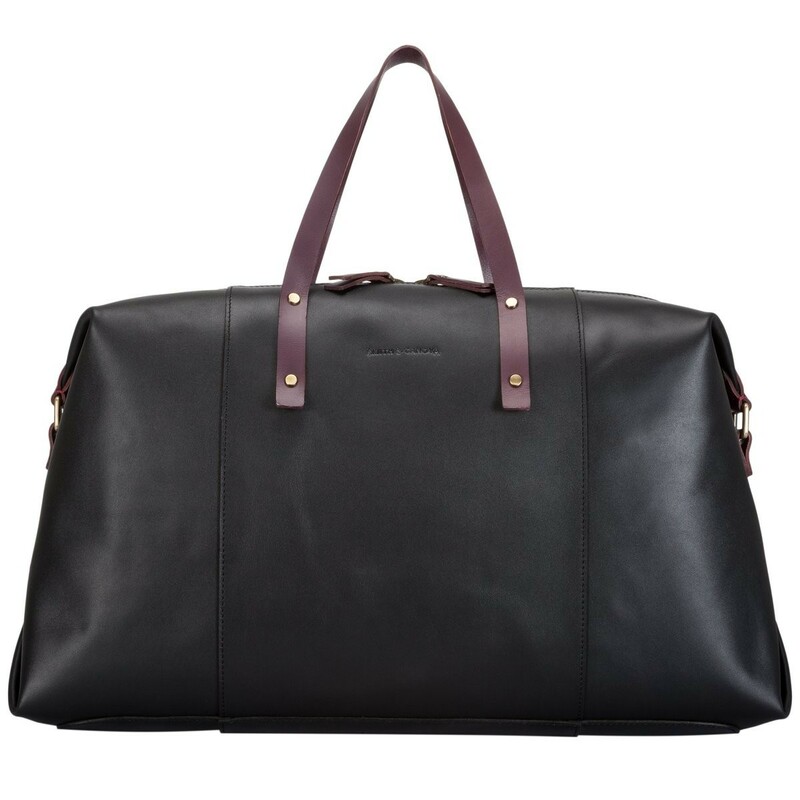 This mens holdall is a beautiful construction, crafted with raw edge cut leather, for a fresh, modern look. 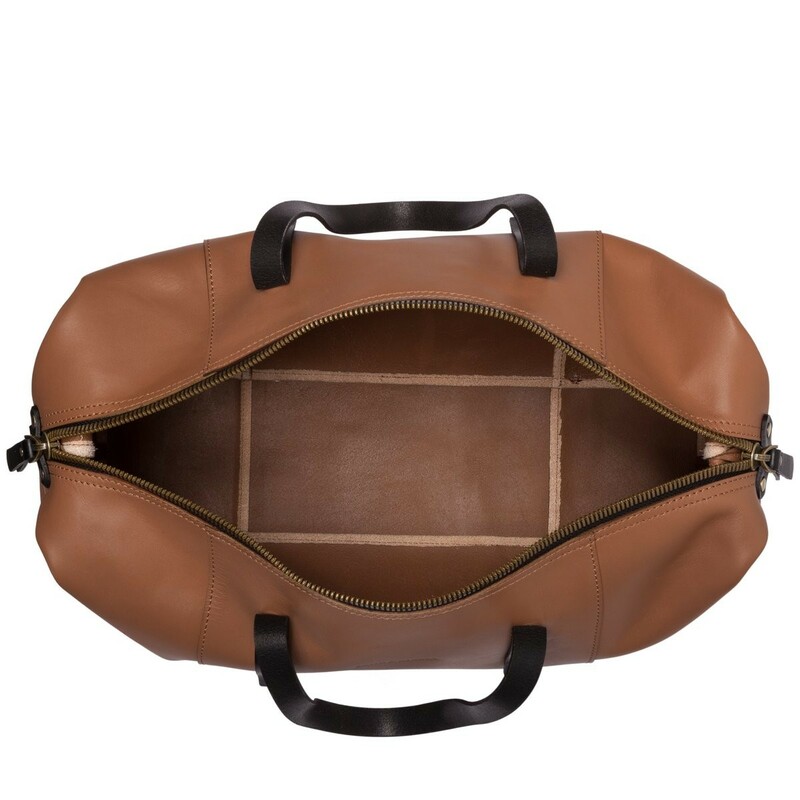 It uses minimalistic stitch detail, rustic gold fittings and a strong, chunky zip feature, with a contrasting leather tab for premium style. 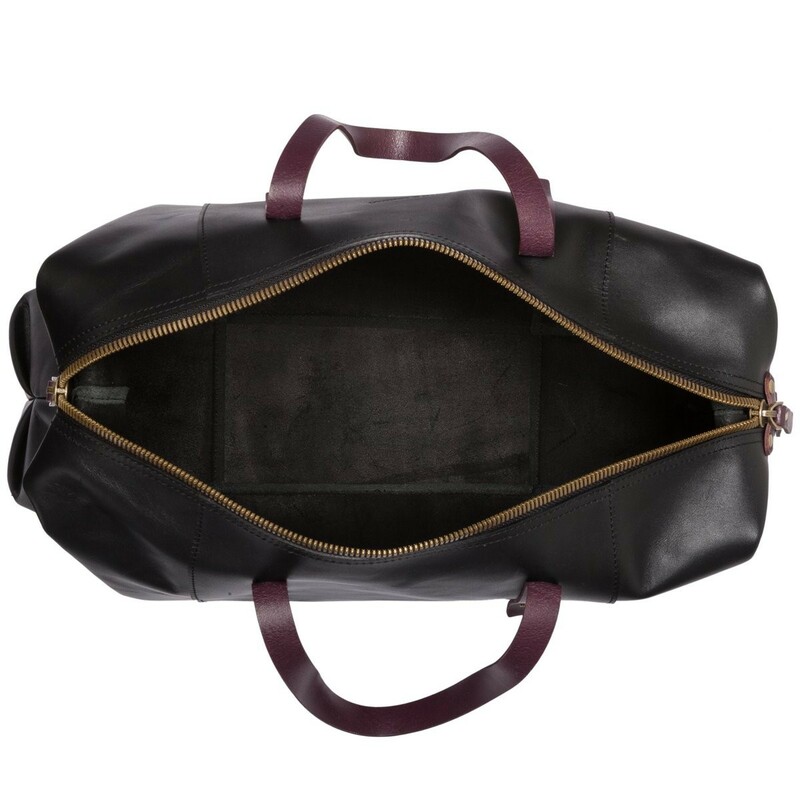 The spacious bag shows the raw leather interior, giving it a natural finish. 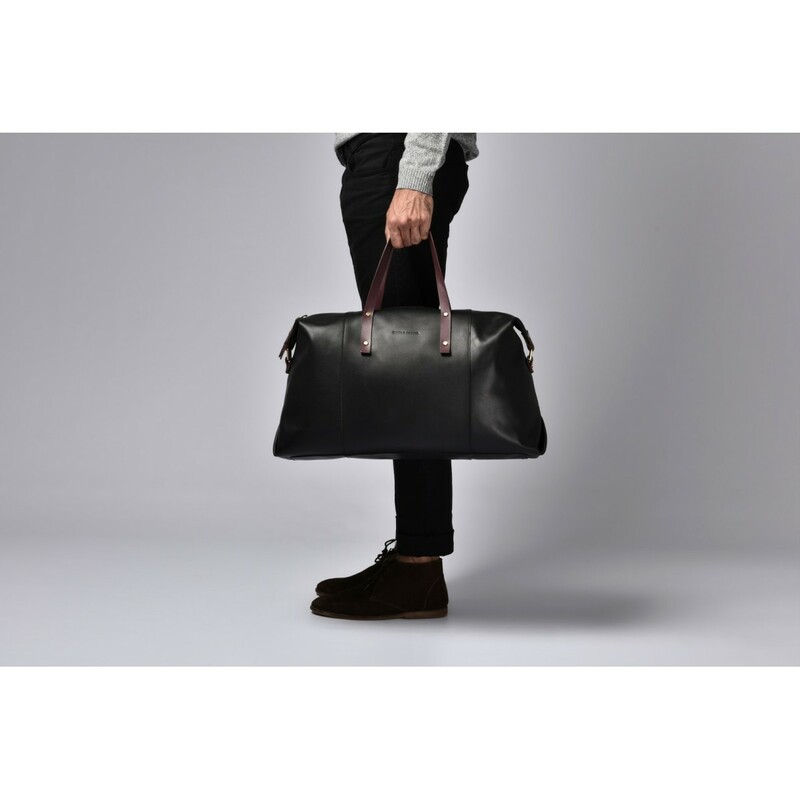 Complete with the signature Smith & Canova blind debossed logo, a simple but effective finish.